Doesn’t always go like you wish it would. Can be extremely complicated, messy, broken. It can hurt. Old crap can follow you around for years. Sometimes life can take so much cold, dark effort. 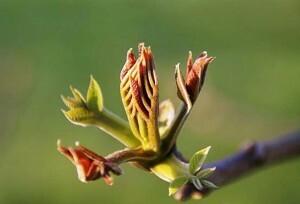 Then winter fades into the fresh, green hope of a bud. A surge of energy, breakthrough. Life. It can surprise you. It begins again as if winter had never happened. March in Denver came in like a 70-degree lamb, but appears to be roaring out like a hungry, crazed lion. The promised rains are delayed, but howling winds whip up dirt clouds in these dry parts like nobody’s business.